This is my first take on a Barry M product. I randomly picked this up at Boots after hesitating first. The kohl pencil has an ultra soft tip and smoothly glides on the eyes. To get that beautiful black color, you need to layer it a bit. The bad part is that despite being a kohl pencil, it doesn't stay on the waterline. Just wear it and it's nearly gone within half an hour but stays on the upper lash line for a few hours. It transfers on your finger if touched. Plus, looking at its size, for Aed 18, it is expensive. Get it from: Boots pharmacies in the UAE and Barry M website (they ship internationally). Conclusion: There are tons of alternatives to this one in the market. I'd rather go for something cheaper and likely quality. Recommended? No. Thanks for the honest review. This pencil doesn't look promising. I think the best eye pencil for water line is by Younique at www.realeyelashes.com and the best one for upperlash line is Eyeko felt tip eyeliner. Great review kiran! 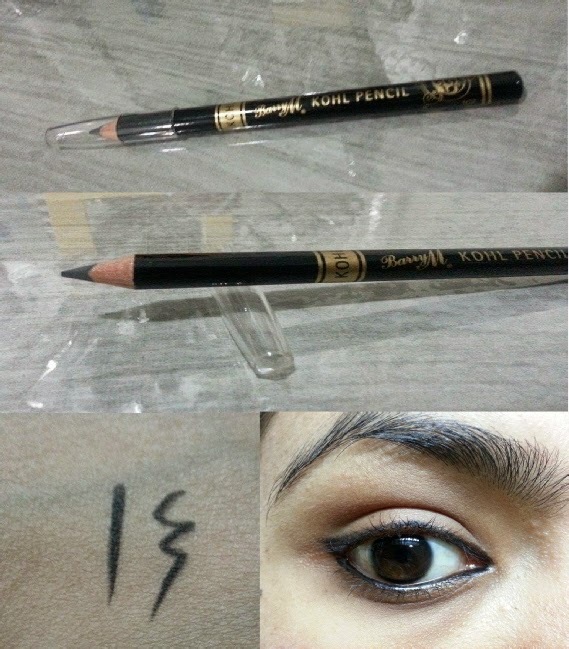 My holy grail eyeliner is the kossosal kajal!